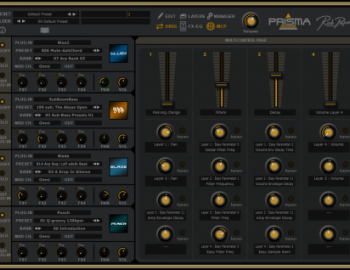 PRISMA provides the Rob Papen ‘sound garden’ with ways of providing terrific tone colors by combining Rob Papen plugins into a single ‘prismatic’ sound source. Powerfully, PRISMA stores those combined software instruments and all their respective settings as a single preset. Seriously smart features of note include individual VELOCITY or KEYB. RANGE (keyboard range) split layers for creative combinations. But Prisma is more than stacking...The MCP page which stands for ‘Multi Control Page’ allows the user to shape Prisma patches by using 4 faders to control multiple parameters of the layers. Dynamic changes of the sound add an additional dimension to this stunning product. 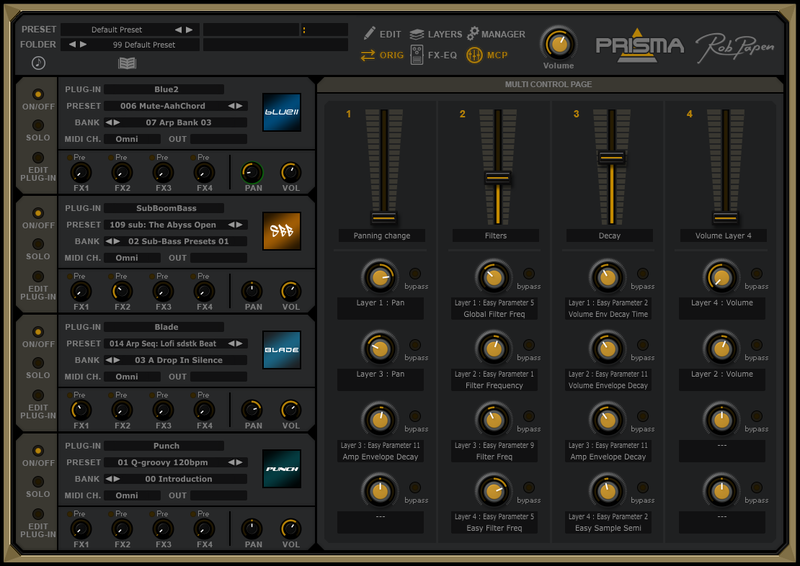 Last but not least PRISMA also has four top-quality FX on board, allowing users to bypass the individual software instruments’ built in effects to save on computer resources, ready for building picture perfect PRISMA sounds!